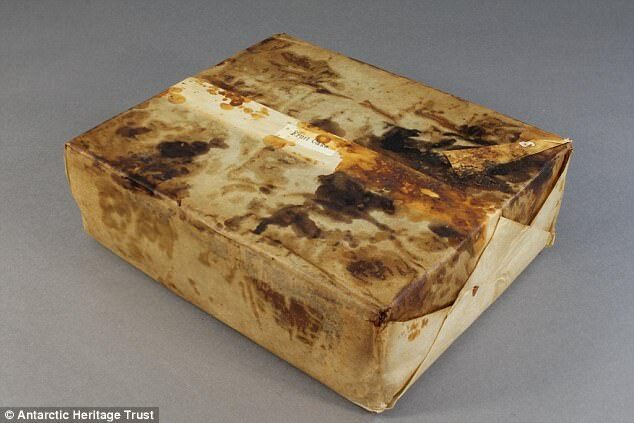 A perfectly preserved cake taken to Antarctica by a party in Captain Robert Falcon Scott's expedition over a hundred years ago has been found near the South Pole. 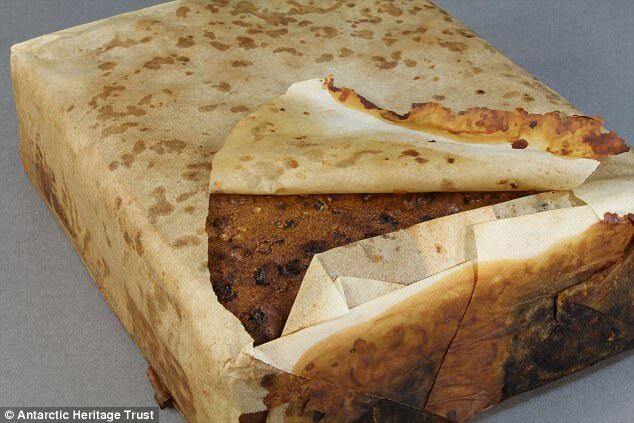 The fruitcake, made by former Reading-based biscuit makers Huntley & Palmers, was found in a remote hut in Antarctica wrapped in paper and encased in a tin. Remarkably, researchers from New Zealand charity the Antarctic Heritage Trust said the cake looked - and even smelled - like it was still edible. Lizzie Meek, a manager from the charity, said the cake would have been an 'ideal high-energy food for Antarctic conditions' and is still a favourite on modern trips to the far south. It is believed the cake belonged to the Northern Party - a group that split off from Captain Scott's main party - because documents show they took the popular brand with him on the ill-fated Terra Nova Expedition between 1910 and 1913. The cake was found on a shelf in a hut based at Cape Adare used by the Northern Party in 1911, which is the year the researchers believe it was left there. Scott and his team - who had left the Northern Party at Cape Adare - reached the South Pole in 1912, 34 days after their Norwegian rivals, but the entire party died on their return journey. But the Northern Party suffered its own troubles - it was moved from Cape Adare 250 miles south to Cape Evans in 1912, where they suffered from frostbite and hunger and were forced to eat seal meat. Conservators have been working on Antarctic artefacts from Cape Adare since May last year and have accrued almost 1,500. The huts at Cape Adare were built by the Norwegian Carten Borchgrevink's expidition of 1899 but later used by the Northern Party. They are the first buildings constructed in Antarctica and are set to undergo conservation work by Antarctic Heritage Trust workers. But all objects taken from them - including the cake - must be returned after being spruced up, in accordance with rules governing the Antarctic Specially Protected Area.